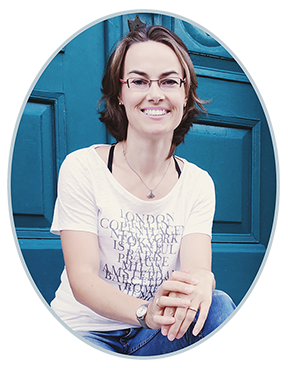 My mission is to help you get out of that confusion and overwhelm and break things down for you, so you can follow along easily. 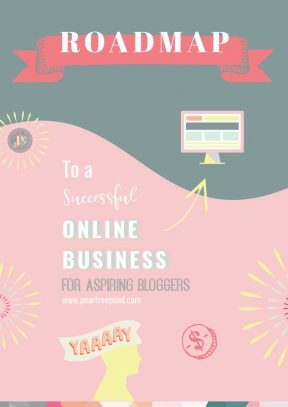 My Roadmap to a Successful Online Business blog post series will take you through all the major steps of building your online business. 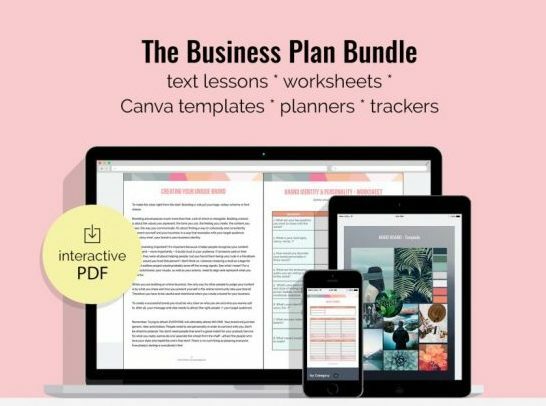 Download your FREE overview business guide and let’s start at the beginning! Wanna know why so many new online businesses don’t make it? Here is the answer: They skipped the initial step of picking a niche first. Why this is so fatal? Because their offer is not streamlined to a specific segment of people they want to help. And if you’re not talking to the right people, well, they just won’t care about what you have to say. Simple as that. But no worries – this doesn’t have to be you! Disclosure: This post contains affiliate links. This means when you purchase something through links marked as affiliate links (affiliate links are marked by an asterisk), I may receive a small commission at no extra cost to you. All opinions expressed here are my own and I only recommend products and services that I personally love! If you’ve been researching online business ideas for a while, then I’m sure you have come across this term. And I’m not talking about a recess in a wall. Thank you Merriam-Webster dictionary… Their second definition, however, is spot-on: “a place, employment, status, or activity for which a person […] is best fitted”. We are talking about your online business sweet spot here. The one that allows you to follow your passion, share your skills, help others and also make money in the process. Sounds like the perfect win-win all around, doesn’t it?! 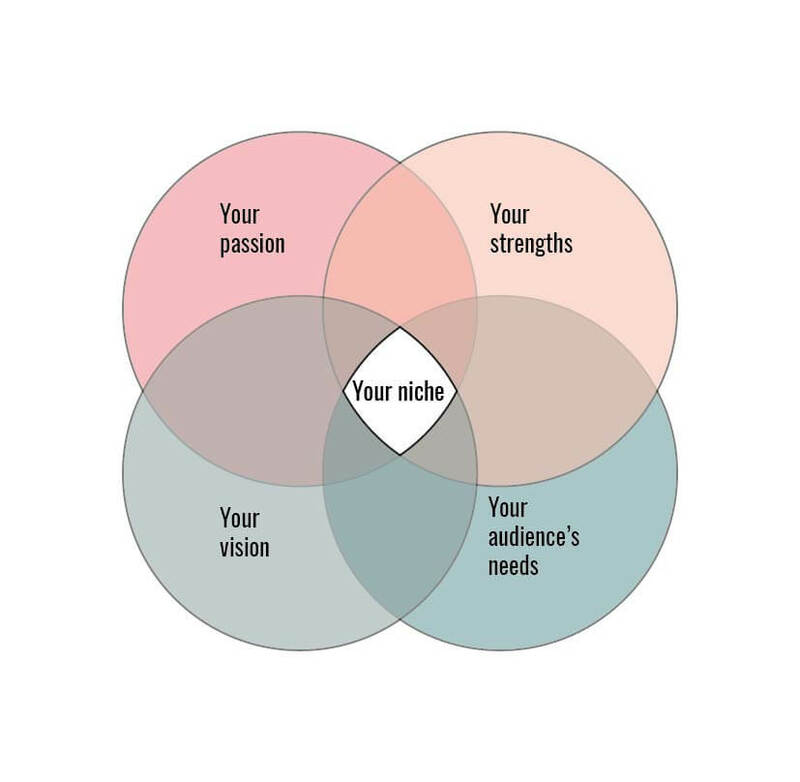 But how do you find your niche? In order to find your niche, you’ll have to do some sincere soul-searching and self-assessment first. How exciting! 😉 Get some paper and a pen and write down any ideas you have while you go through the questions. Write down everything that comes to your mind, don’t worry about it getting messy, you can refine your list later. What’s the number one topic that you just can’t stop thinking about? It’s not enough to pick something that you are only mildly interested in, just because you think it might be profitable. After all, you’ll have to work on this topic for years to come. If the thought of spending years of content creation on that one topic already makes you sick, it’s not worth it. Pick something, that you love to learn about and share your insights. What if nothing excites you that much? Tough question. You’ll have to dig deep. What did you imagine you’d do as a grown up when you were still a child? Is it something that you are still interested in but haven’t pursued for some reason? Maybe now is the time to relight that fire. Or maybe you have a hobby that you would love to turn into a profession? What books and films do you love? Why? If money and social commitments weren’t an issue – what would you do all day long? And before you say “Nothing, really.” – stop right there! Being good at something doesn’t necessarily mean you have to be the world’s leading expert in that field. 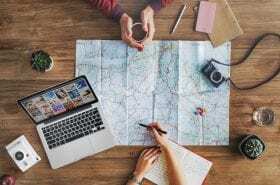 That’s one of the most important lessons I had to learn and is probably among the top reasons that are holding you back from creating your own online business. You don’t need to be perfect to start. Learning by doing is fine. Actually, one of the best methods to master any skill is to teach it to others. If you take away ONE thing from this post, let it be this one: You don’t need to be perfect to start! “Who is going to be interested in what I have to say if I’m not an expert?”, I hear you say. Well, all you need to be is ONE step ahead of your target audience. For example: Let’s say you are a decent enough cook and would like to teach others how to cook easy healthy meals. That might be true if your target audience was seasoned chefs with years of experience and tons of knowledge. If, on the other hand, your target audience were complete beginners at cooking, then I’m sure you could teach them some valuable lessons. They might actually be more interested in what you have to teach them than in what a professional might teach them because your experiences are closer to their own. See how this works? It’s all relative and a question of perspective. If you are still struggling with this question, ask your friends and family what they think you are really good at. You might be surprised to hear what they think! What if you still feel you don’t know enough? Brush up your skills or learn something new that will help you feel confident enough to start your own business! My go-to place for doing this is Skillshare*. In case you don’t know what that is, Skillshare is an online learning community with thousands of classes on various topics ranging from design to business, technology and many more. For a low monthly subscription fee, you get access to ALL the classes. Seriously, ALL of them. Unlike other platforms, Skillshare doesn’t make you pay for individual classes. It’s like Netflix for online learning. And I’m telling you it’s equally as addictive! Take your pick from more than 25,000 classes and gain the confidence you need to take the next steps. Started a class and don’t like it? Just find another one without having to pay extra. It’s awesome! Don’t skip this, because it sounds a bit woo-woo! This is your big WHY for wanting to start your own business. It’s what keeps you going when things get tough. This can’t be a simple “I just wanna make money.” Of course, wanting to make money is a legit interest. But WHY do you want to make money? This is actually less stupid than it sounds. Sure, you can pay your bills and buy fancy things with that money. Earning money is about financial security and the freedom to live the life you want to live. It’s also about supporting your family and friends. Maybe there are even more people whose lives you’d love to impact positively? Who are these people and how are you going to change their lives? What kind of help or product could you offer to make their lives better? It all probably began when I was about 15 years old and started teaching English, French or Latin to other school kids. Later, I studied to become a teacher for biology and chemistry, before I decided that biology was what I really wanted to concentrate on at that time. Even though I didn’t become a teacher, working at the University meant that I had even more chances to teach during student labs. I strongly believe in life-long learning and that finding the right teacher can change one’s life. Once you find the person who is able to present you exactly the kind of information you were looking for, at exactly the right time and in a way that resonates with you, you’ll be able to accomplish more than you’d ever thought possible. I’d love to be that person! Is There a Market for Your Offer? 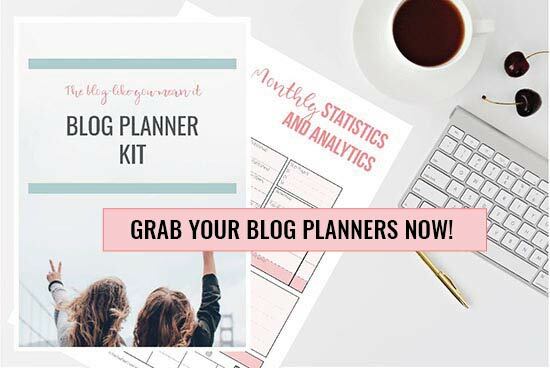 So by now you hopefully gained some clarity regarding your favorite topic, the skills you bring to the table and the vision you have for your business. Before you storm off to build your empire – hold your horses! You need to do one more thing to find your niche. Unless you are planning to start a charity, you’ll need to check whether there is a market for your idea. Because let’s be honest, if people are not willing to pay money for your service or product, your business is not going to be viable in the long run. How can you do this? Think about the people you want to help aka your target audience. Who are they? What do they need? Do they have one specific problem that you can solve for them? If you are clueless as to what their problem might be – just ask! Find the places where your ideal audience hangs out and try to get into their heads. Read forums, follow discussions, post a quick survey and do some Google keyword research. If no one searches for your keywords, it’s gonna be difficult to find an audience. If heaps of people are already doing what you want to do, it’s gonna be difficult as well. 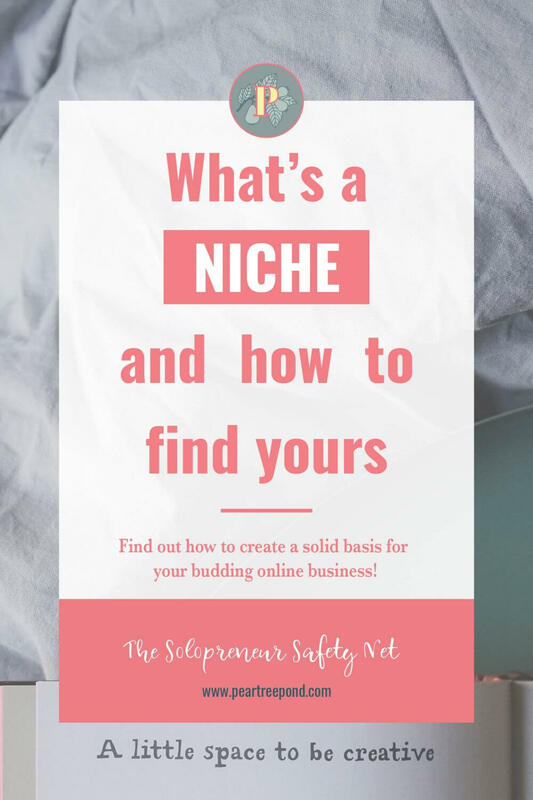 To find your niche, you want to identify keywords with good search volume and low competition – those are the gems you are trying to uncover. Don’t be completely put off by competition though. If you can find a way to improve on the offers already out there, or at least put your own spin on them, there is still a good chance you can make it. IF you are determined to work hard until you stand out from the crowd. 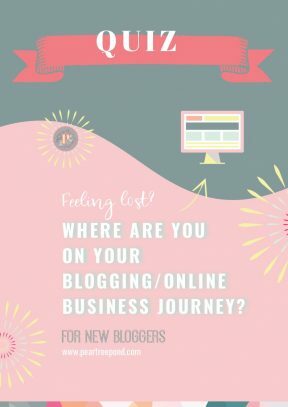 Taking my own blog as an example again: The people I’d love to reach are women who are wanting to start their own online business but don’t know how. 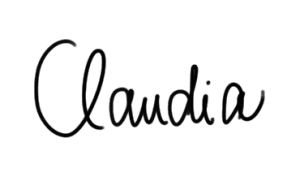 I’m trying to learn as much as possible about every aspect of creating and running a successful online business so that I can pass this knowledge along and enable other women to follow their dreams and support their families as well. I know there is a lot of competition out there on this topic and I’m actually doing the exact opposite of what most people will tell you to do. Instead of niching down (= narrowing your niche to serve a very specific and highly targeted group of people), my focus is very broad. I’m trying to cover the whole process of starting, building and sustaining a successful online business instead of concentrating on just one aspect of that journey. I know about the risks, but I’m willing to take them. Here is why: My vision is to help people get started with their online business, cheer them on during their journey and then see them succeed. “Branding (= your topic) your website (= making it more specific) for female entrepreneurs (= addressing your target audience)”. 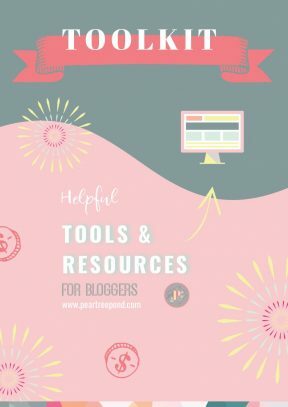 As usual, I’d love if you could do me the favor of pinning this post to your favorite Pinterest boards if you found it helpful. And of course, feel free to share your thoughts in the comments! 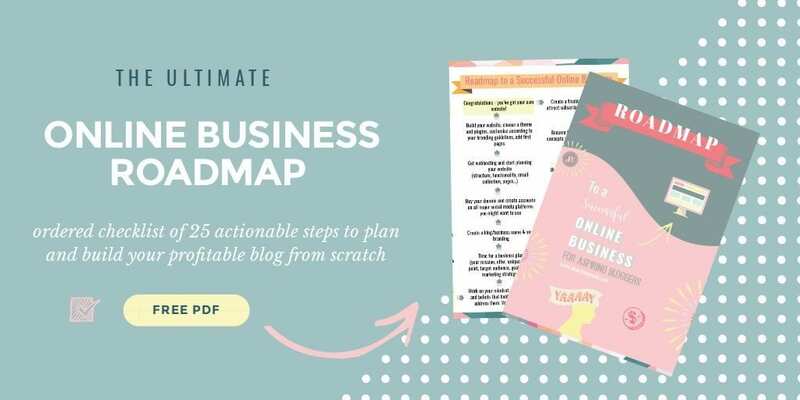 Make sure to subscribe to my newsletter if you want to be notified when I post the next blog post in the Roadmap to a Successful Online Business series!